Gary Anderson inflicted a 6-0 defeat on Peter Wright over the weekend in a ‘Players Championship’ in Barnsley. Along the way the Scotsman also accounted for and disposed of the current PDC World champ Rob Cross 6-0! The Sky TV commentators might just forget to mention this fact, in truth they normally do omit the all-important non-TV weekend action. Anderson meets Raymond van Barneveld in the concluding game of Thursday night’s Premier League action live on Sky Sports from Nottingham and given this kind of form, he should send favourite backers home happy. Barneveld fell over the line is a scrappy game against Gerwyn Price last week where there were four breaks of throw in the first four legs. In fact, he won it purely because Price played so badly. 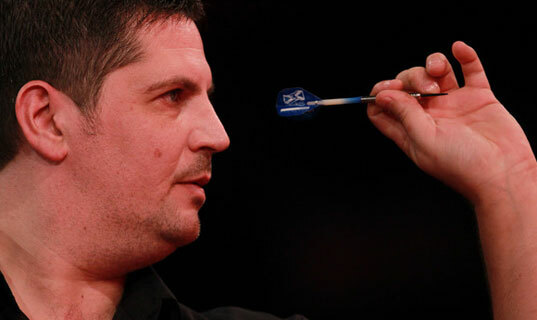 There is no chance Gary Anderson can or will squander half as many chances. So this one is our banker darts bet to be put into all doubles, trebles, accas and Lucky 15’s. Such is our confidence we will also suggest having some throw-way change on a 7-0 score-line at a whopping 45/1 at Betfair. In other games you have a remarkable situation whereby Simon Whitlock, with his three 2018 Premier League Darts wins, is considered a major underdog against a player with no victories in this year’s competition. That rival is Daryl Gurney who is a general even-money poke. We think this is madness and given a +1.5 leg start (basically meaning the draw is a winning scenario for us) Whitlock looks a great bet. At 1/6 Michael van Gerwen (MVG) clearly represents no value against Welshman Gerwyn Price but, in what may be a lopsided score line, Sportingbet’s 4/5 about him scoring most 180’s looks outstanding betting value. In this season’s Premier League MVG has posted 18 ‘maximums’ while his opponent on Thursday has just nine against his name. We are averaging precisely one draw per-night in the 2018 Premier League and if there is to be another one this week, surely it will be in the Simon Whitlock vs Daryl Gurney match. Gurney has already had three draws from five matches in this year’s competition and while this pair have contrasting playing styles (Gurney is a machine around the treble 20’s but poor at doubles – the opposite of his rival), there’s enough form in the book to believe this one will go to the wire and quite possibly be a dead-heat.